Through generous support from the North Carolina General Assembly through the Transforming Principal Preparation (TPP) Program (Section 11.9 of Section Law 2015-241e) students in the Wake Principal Leadership Academy (WPLA) receive a full fellowship for a Master’s of School Administration degree from NC State University. The two-year program includes a paid 10-month principal residency (internship), corporate leadership training from BB&T, and JPLA Fellows receive funding for books, travel for learning rounds/site visits to exemplary schools and professional conferences, a summer stipend, a principal mentor and an executive coach to provide support during the residency and for early-career induction. The North Carolina Alliance for School Leadership Development (NCASLD) serves as the administrator for the Transforming Principal Preparation (TPP) Program and reports to the NC State Education Assistance Authority (SEAA), the legislatively designated Authority for the TPP grant program. WPLP is a principal preparation program designed to train future leaders to serve in the Wake County Public School System. 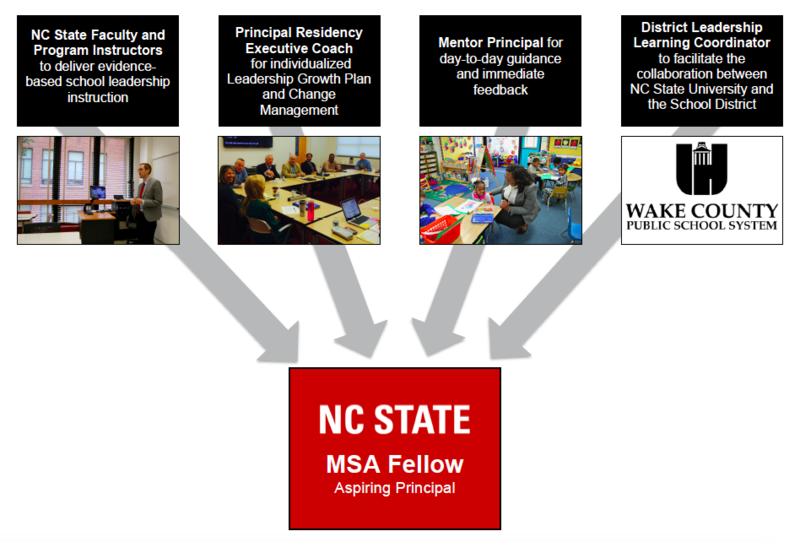 WPLP was modeled after the award winning NC State program, Northeast Leadership Academy (NELA). With over 157,000 students, the Wake County Public School System (WCPSS) operates over 170 schools. In 2016, the overall free and reduced-price lunch (FRL) percentage is 34%, with 30 schools in which at least 60% of students qualify for FRL. The students reflect diverse backgrounds: 47.5% white, 23.8% black or African American, 16.9% Hispanic or Latino, 7.6% Asian, 3.7% Multi-Racial, 0.3% Native American or Alaskan, and 0.1% Native Hawaiian or other Pacific Islander; 7.9% of students are English Language Learners and 12.3% receive special education services. Student achievement across the district is uneven, with 65 schools that “did not meet expected growth” and 45% of Wake’s Title I schools “did not meet expected growth. A collaborative partnership with NCSU will support the district’s strategic work in building and strengthening a pool of candidates positioned to assume future principal positions. To learn more about WCPSS, visit http://www.wcpss.net/wcpss. WPLP Fellows began their courses in May 2018. They will participate in courses while continuing their current teaching positions this academic year. During the 2019-2020 academic year, WPLP Fellows will complete a year-long, full-time Principal Residency. They are expected to graduate in May 2020. Learn more about the WPLP Fellows by reading their brief biographies on the Fellows page. Meet the Wake Principal Leadership Program! 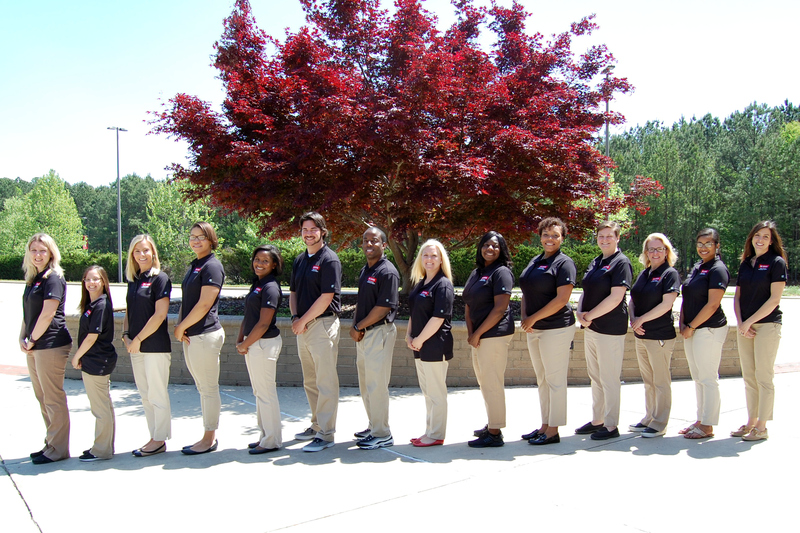 JPLA, WPLP, and NCSU Cohort Fellows Start Classes!